The only tool required is a wrench to move the tension pulley. The easiest, and most efficient way to do this is with a specialized tool. Harbor Freight has a reasonably priced kit, and it works great and the price is right. If access to engine was clear, this would take just a minute or two. The only issue here is the lack of access, time and patience are required. 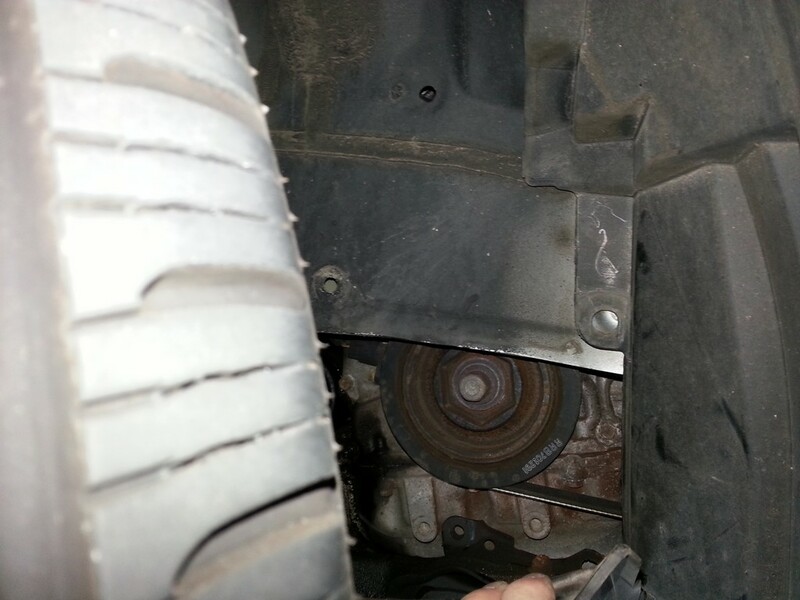 First, to make the job a bit easier, remove two pins that hold the wheel well cover in place. This will allow access to the lower pulleys. It’s not necessary to remove the entire panel, just carefully bend it down to gain access to the pulleys. 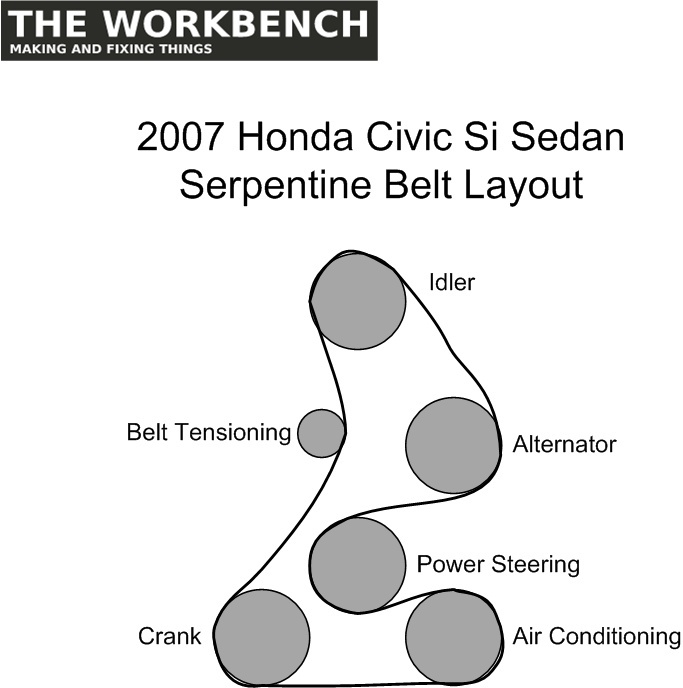 Next, remove the belt by loosening the tension using the Serpentine Belt Tool Kit. 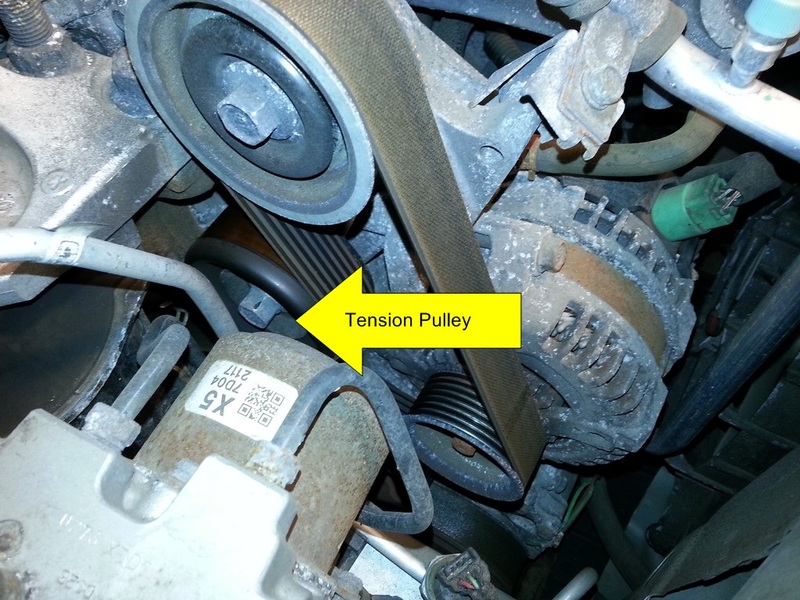 Following the diagram below, replace the belt putting it on the idler last. Hi Ryan, thanks for the comment. Although the label might not be accurate, the real purpose of the drawing is for the routing of the belt.